We have over 2,000 love quotes on many topics, including: Love Quotes for Her, for him, I Love You, Inspirational, and much more! 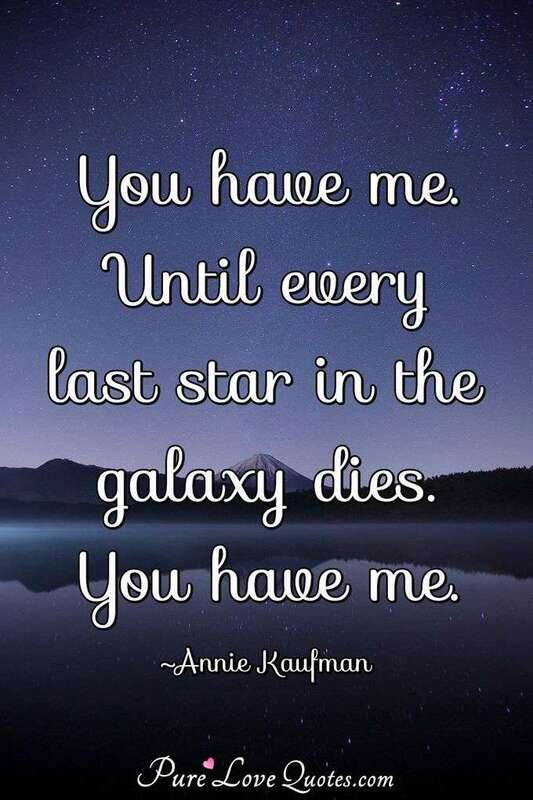 Here are one hundred of our best love quotes starting with the best. I know that my feelings for you are real because I spend more time thinking of you than myself. I need you like a heart needs a beat. Missing you is my hobby, caring for you is my job, making you happy is my duty and loving you is my life. They say you only fall in love once, but that can't be true. Every time I look at you, I fall in love all over again. It's me for you and you for me. That's how our future will always be. You may hold my hand for a while, but you hold my heart forever. Displayed 1-7 of 100 quotes. A very small degree of hope is sufficient to cause the birth of love. If you find someone you love in your life, then hang on to that love. 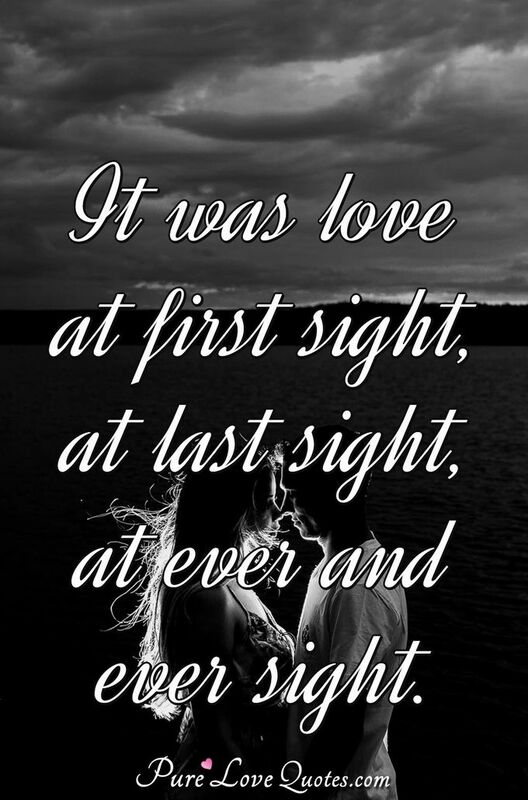 It was love at first sight, at last sight, at ever and ever sight. You have me. Until every last star in the galaxy dies. You have me. 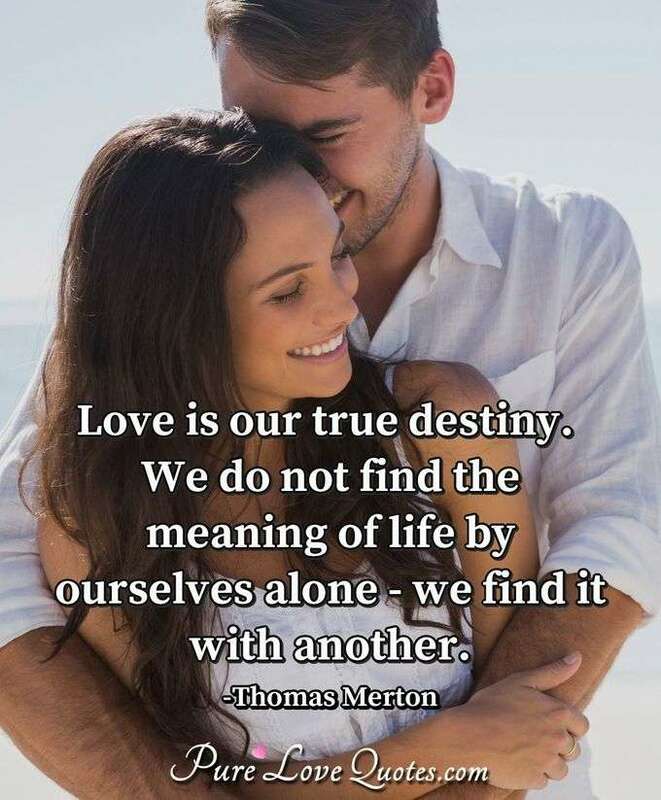 Love is our true destiny. We do not find the meaning of life by ourselves alone we find it with another. Here's my love, take it. Here's my soul, use it. Here's my heart, don't break it. Here's my hand, hold it and together we will make it forever. The way you make me feel is hard to explain. You make me smile in a special kind of way. You make me fall deeper in love every day. When you put love out in the world it travels, and it can touch people and reach people in ways that we never even expected. I am happier when I love than when I am loved. I adore my husband, my son, my grandchildren, my mother, my dog, and frankly I don't know if they even like me. But who cares? Loving them is my joy. Displayed 1-10 of 400 quotes.